The Association "Živojin Misic" is the official national partner of the “Varkey” Foundation in Serbia and the proud signatory of this agreement. 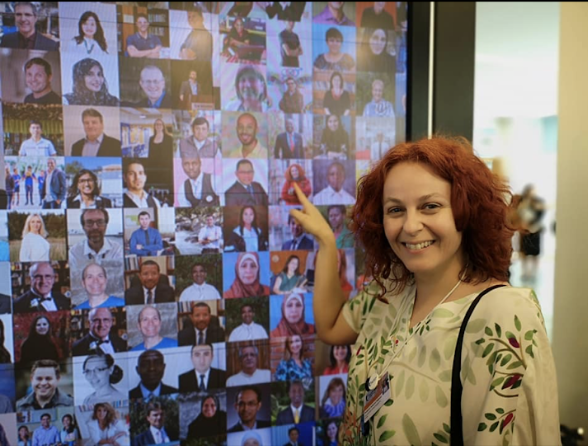 This year as well, the Association has had its representative among the top 50 teachers of the world, and this is Katarina Veljković, an exceptional teacher of informatics from Kragujevac with measurable results and research in Serbia and the world! 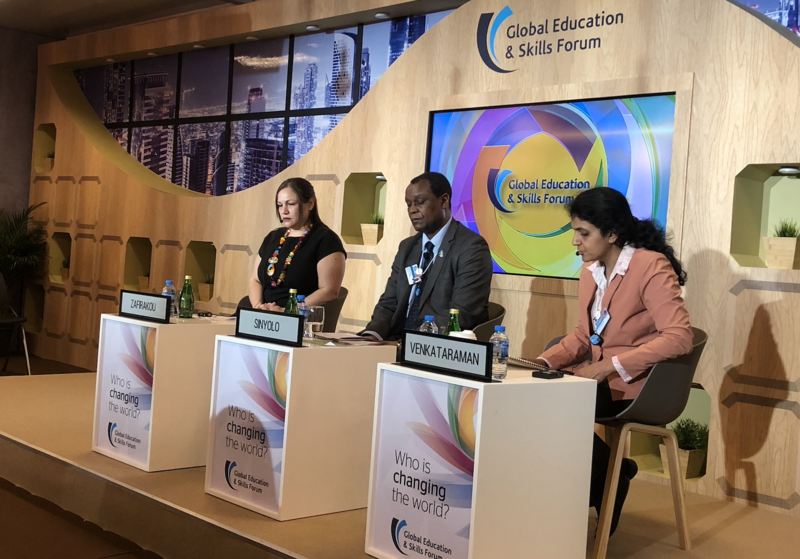 Global Education & Skills forum has been held for the seventh year in a row, from 22 nd to 25 th March in the United Arab Emirates. This year's winner is Peter Tabichi from Kenya! 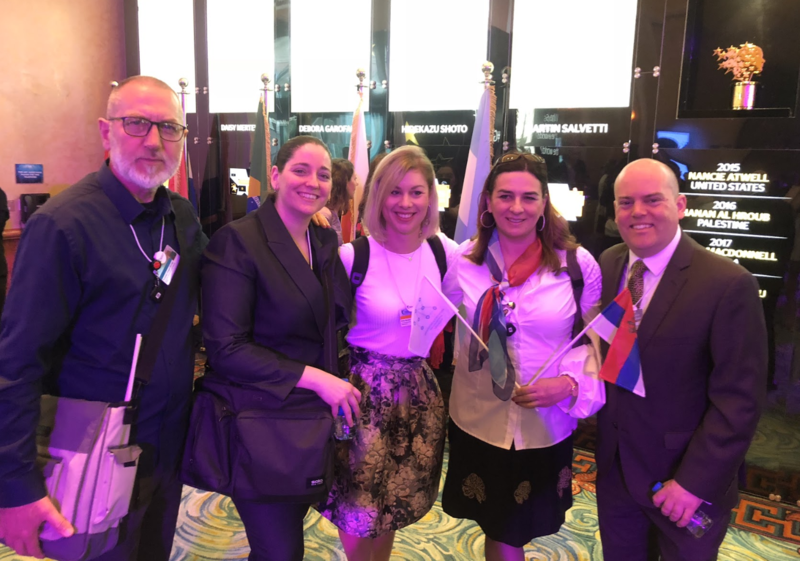 In the forum where the winner of the “Global Teacher Prize” competition is chosen, Serbia took part with its delegation. Who forms the official team of the Serbian delegation? 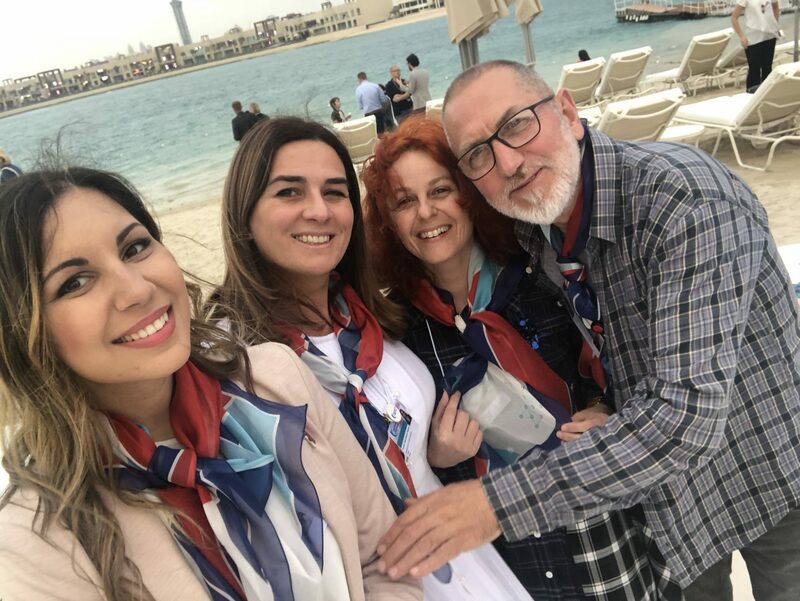 Our team consisted of Katarina Veljković, a teacher of informatics, one of the 50 best teachers of the world; Tatjana Marković Topalović, a teacher of physics from Šabac; Dragan Kuveljić, a primary school teacher from Prijepolje and Ivona Jovanović, the coordinator of the Association "Živojin Misic" as representative of the national partner "Varkey" Foundation. 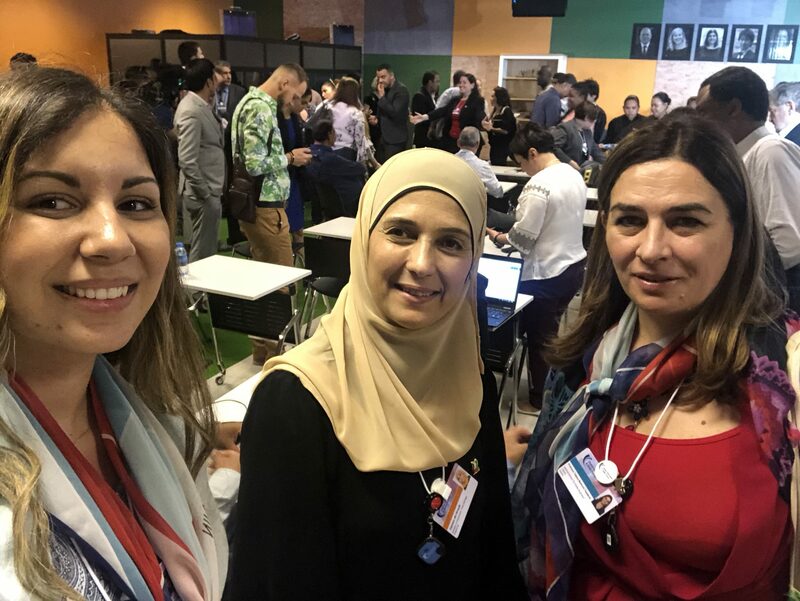 Leaders from the world of private, public and social sector have gathered for the seventh year in a row to work together on topics that are in the limelight of education, and one of them is a change of attitude towards educational technologies. 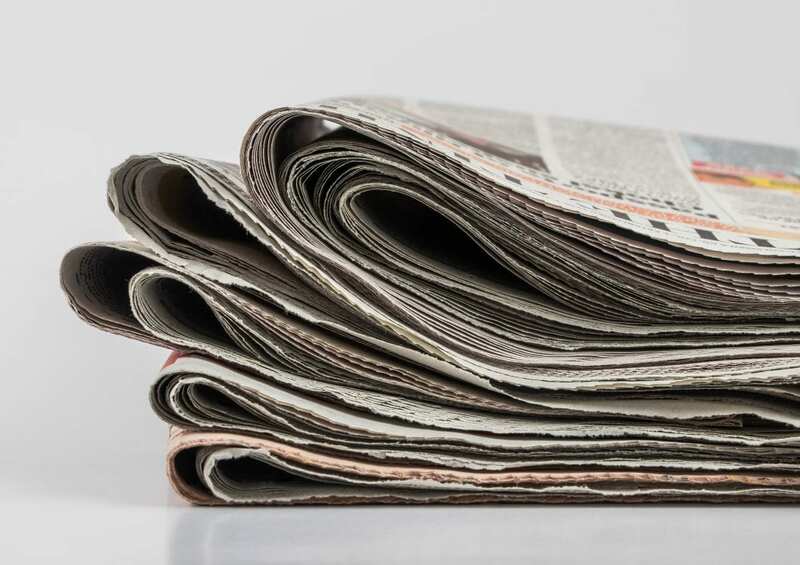 Srđan Verbić, one of the members of the Atlantis Group - a group of the world's best former ministers, who has been a honorary participant in this forum for years, explained what the focus was in this year. 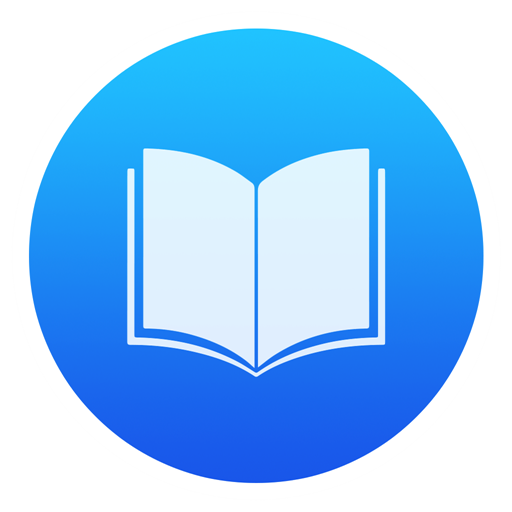 The point is that learning which will solve all problems is no longer considered a central thing and that artificial intelligence and educational technologies help teachers in their work with children. The Forum is a place where the importance is placed on a teacher, where their profession is respected as one of the most important ones in the world and where the possibilities for networking with their colleagues worldwide are within reach to everyone. Why is this forum important for Serbia and for the Association “Živojin Mišić”? 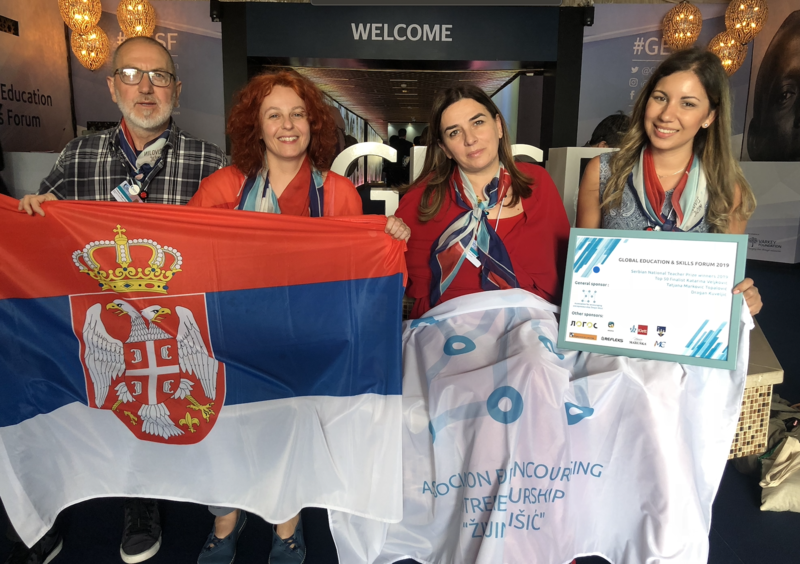 A significant fact is that Serbia has strengthened the position of the national partner the Association "Živojin Misic". Vikas Pota, head of the Varkey Foundation, gave full support to the Serbian delegation and praised all efforts made by the Association in its country. 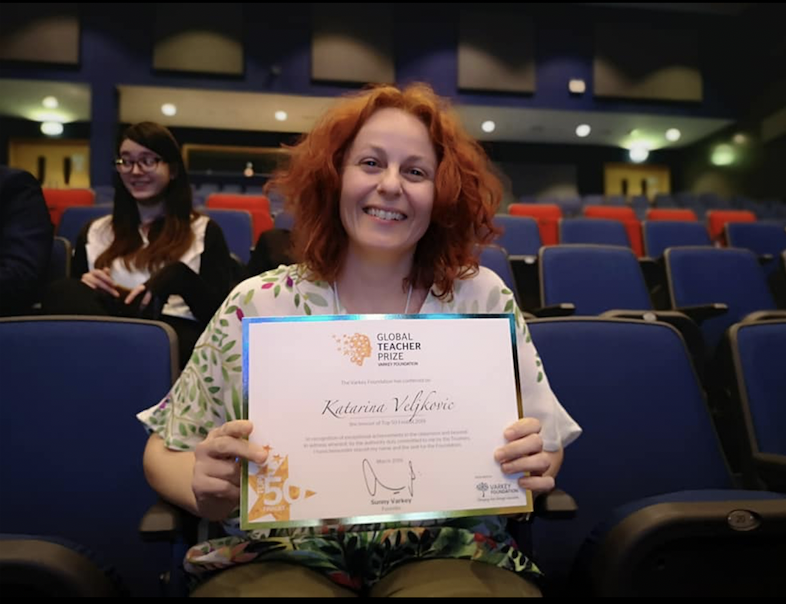 Commendation for the selection of this year's candidates, the national representatives, was another great plus, especially for Katarina Veljković, one of the 50 best teachers in the world! 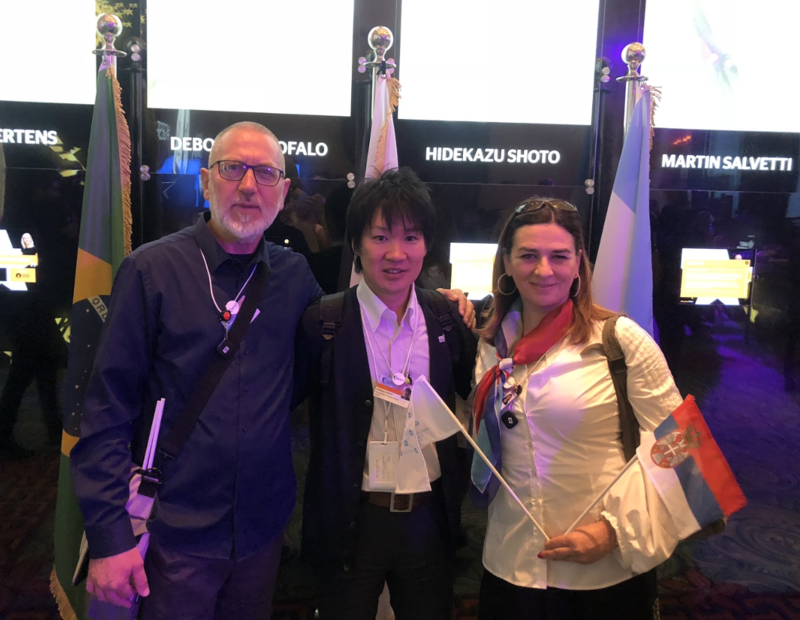 The conversation with Rebecca Warbrick (the "Global Teacher Prize" marketing director) and the national partners of other countries in the world went in a strategic direction of enhancing education in each country separately. A special emphasis was on the actions of non-governmental organizations which should work on encouraging education and giving importance to the profession of teachers and teachers themselves. 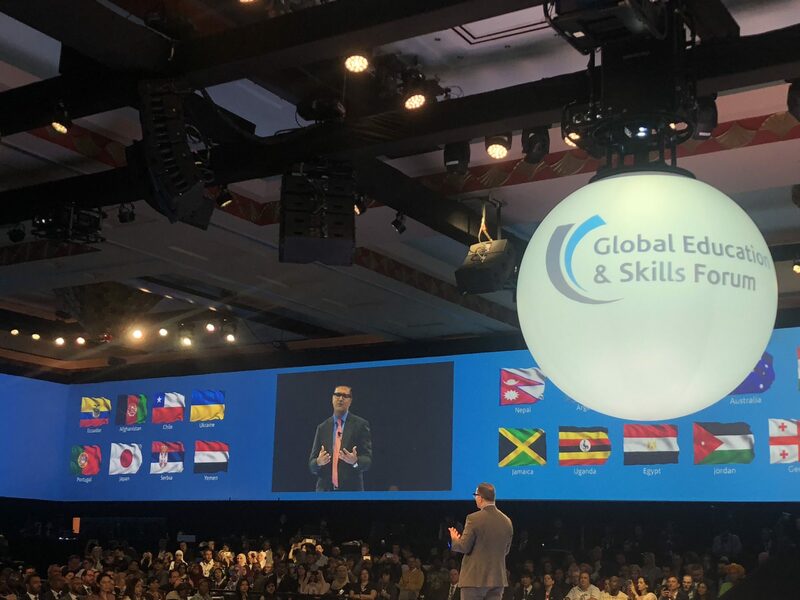 What is the Global Education & Skills Forum like? 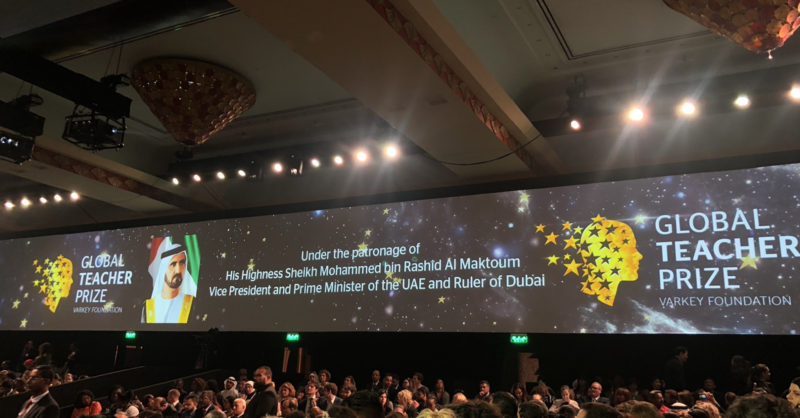 The Forum brought together 297 speakers (top experts in the field of education and related fields), 40 ministers of education, 7 former ministers of education, over 2200 delegates from 114 countries and over 200 media representatives. The organizers of the forum have made a step forward even this year by allowing a ten-year-old Braydon Bent, a TV presenter, to lead the first panel discussion on the importance of education. Braydon emphasized that all teachers in this world should make more effort, mainly because of the children like him, which showed that empathy is an imperative of modern education. 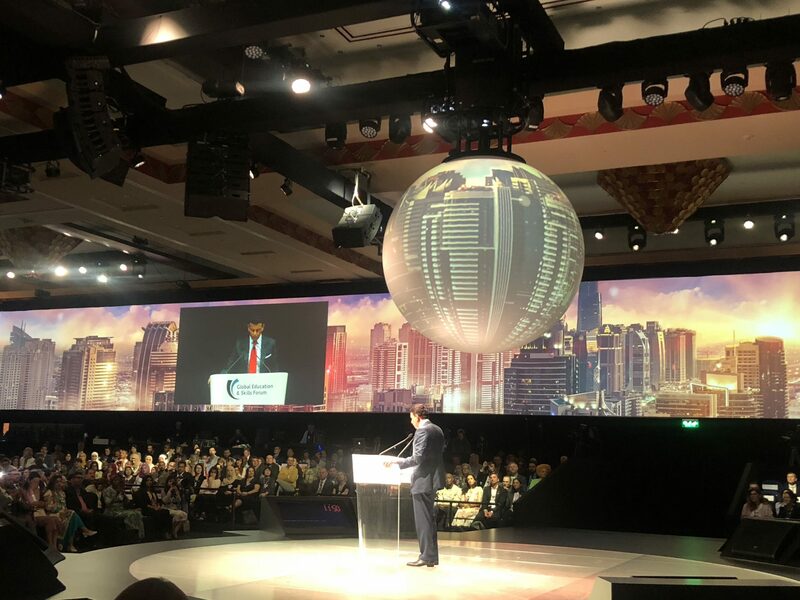 The CEO of the Varkey Foundation, Mr Vikas Pota, welcomed all teachers, participants, national partners around the world and conference participants, praising their work, pursuit and objectives they had set for themselves. 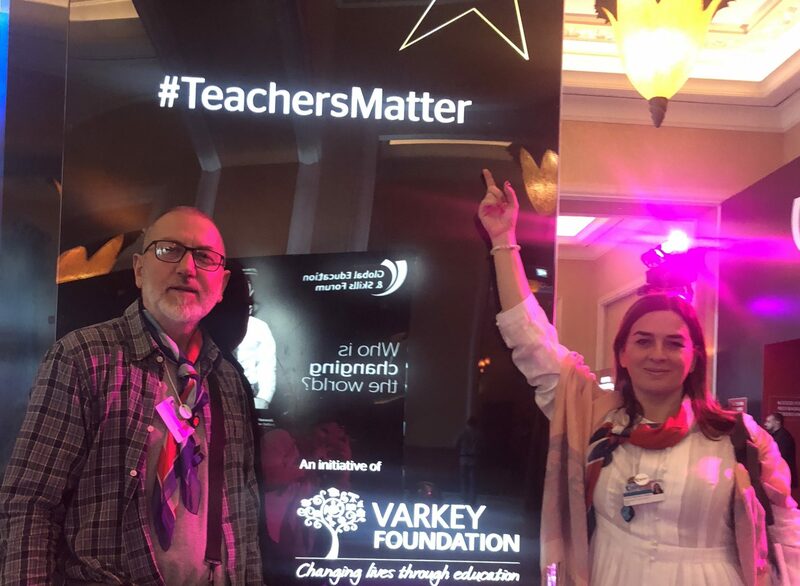 Katarina Veljković had the opportunity to attend the VTA workshops (Varkey Teacher Ambassadors), which were aimed at networking, linking and presenting projects around the world. Our representative spoke about the projects that she conducted with her students, both in the local environment and in the world, and for which she has been awared several times by numerous international organizations. 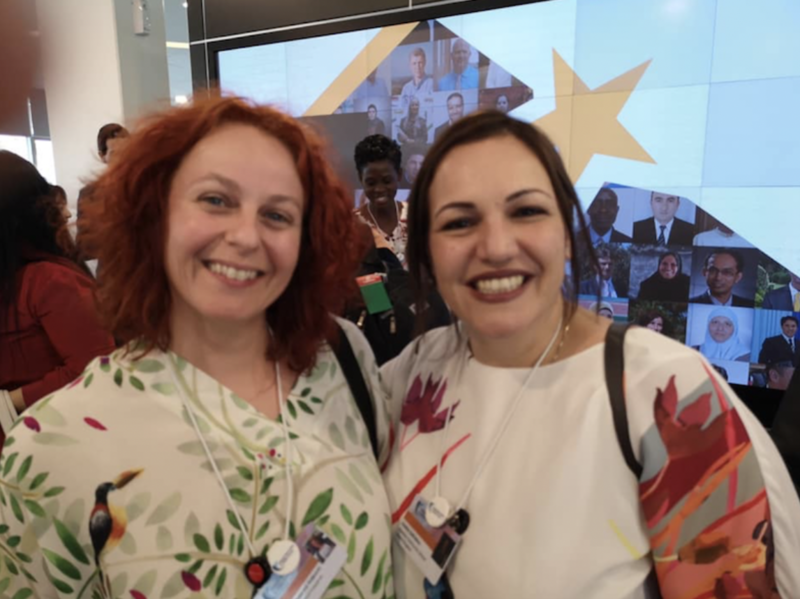 On the other hand, her colleagues Tatjana and Dragan had the opportunity to listen to almost all sessions in which they were interested, to debate and evaluate, and with the aim of further professional development and sharing new information in their country. 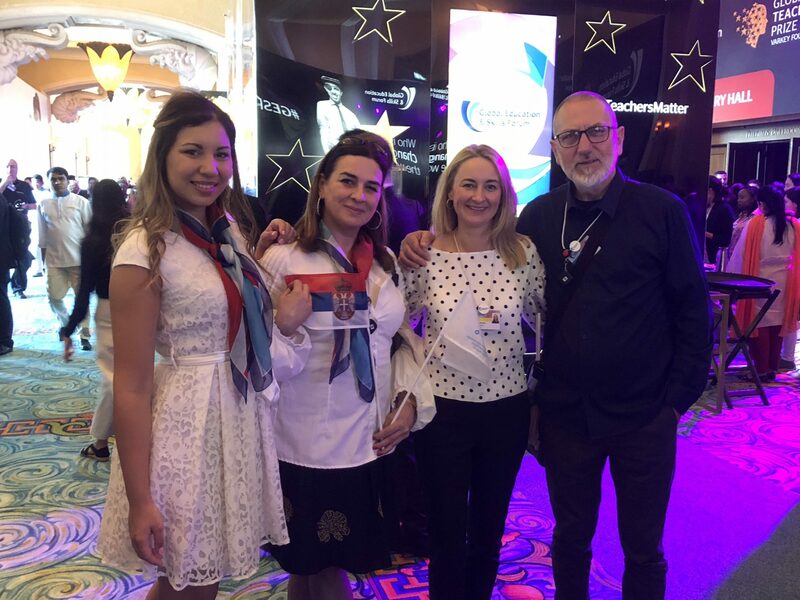 For the next two days of the Forum, which was held in the Atlantis Hotel, the three-member Serbian delegation attended a number of workshops at which the most prominent people in their field of education gave a talk; the top 10 teachers of the world held "Masterclasses" (model classes which they hold). 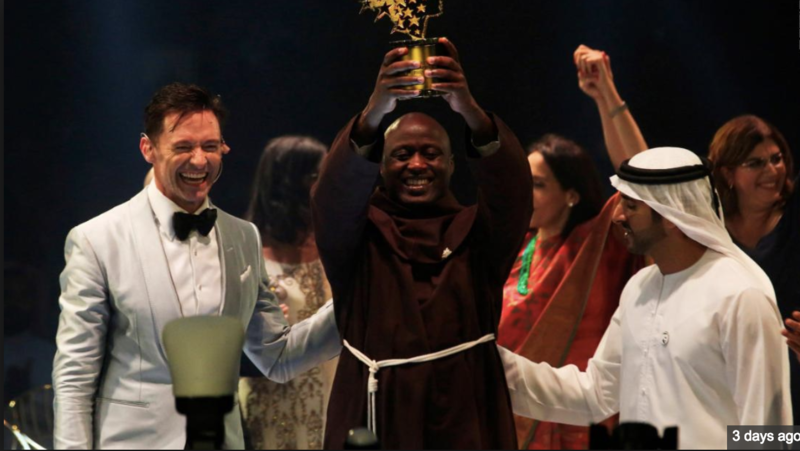 The award presentation ceremony and gala evening were held on the fourth day of the Forum, where the Global Teacher Prize Award was given to the representative of Kenya - Peter Tabichi. He was presented the award by Hugh Jackman, a great Hollywood star. Peter Tabichi is a chemistry teacher who teaches in a mixed secondary school, in a semi-dry part of the Rift Valley, and, despite poverty, he manages to win first places in the competitions in Kenya and send his pupils to those at the world level. With his students he makes the devices which enable blind and deaf people to measure objects, motivates his students to enrol at university, helps them cope with the problems in the street and be the best version of themselves. In addition, Peter invests 80% of his revenues in school and in the help to the poor. The aim of the arrival of our delegation at this world significant event was the networking with the best teachers of the world, exchange of information, tolerance, interculturality, support, learning new teaching methods, approaches, collaborations at the international level, and the research for possible changes in the education of Serbia. “I am very pleased with my participation because I have met a lot of wonderful teachers with whom, I hope, I will cooperate. 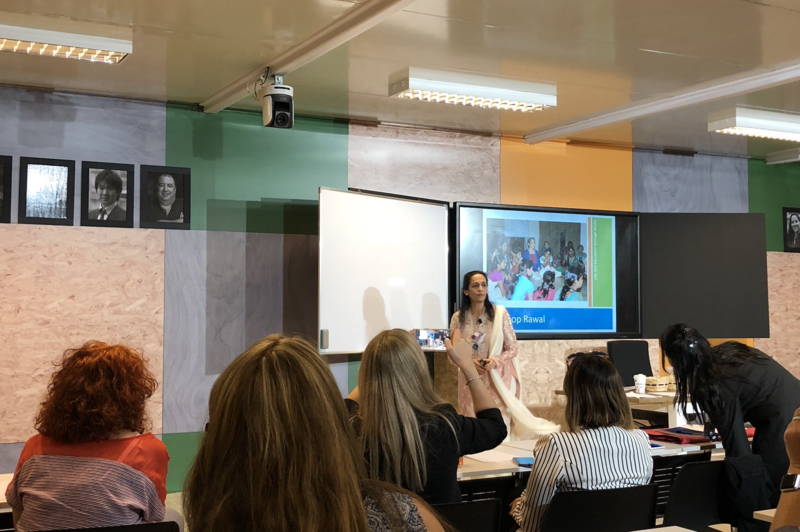 What is most important and what we receive as teachers is sharing knowledge and information which we have not had so far and what makes us important is that we are the teachers who prepare students for the 21st century and that as individuals we can do a lot”, said Katarina Veljković. Tatjana Marković Topalovic thinks that a benefit for Serbia is, above all, its participation in this Forum, for teachers - a large number of international contacts and that our country, regardless of its size and population, is very noticeable. Dragan Kuveljić added that this exchange had made him richer and prouder with reference to the job he does and that one of the messages from the Forum is that the world can change if our education is better, or if it is worked with teachers. What is important for us as an association is certainly the consolidation of the position of the national partnership, the opportunity of implementing next national elections even more successfully and, also, the contacts which we have made with influential people from the world of education, economy and public sector and which can be our support for further projects. We express deep gratitude even to the sponsors who helped the departure of the Serbian delegation for the Global Education and Skills Forum and they are: the city government of the City of Šabac, Primary School "M. Stiković" from Prijepolje, publishing company "Kreativni Centar", publishing company "Eduka", publishing company "Logos", publishing company "Klett", company "Refleks" from Šabac and the studio "Maruška".